Choose from a FREE beverage package, FREE shore excursion credits, FREE specialty dining, FREE WiFi, Norwegian’s Friends & Family Sail FREE, and FREE or reduced roundtrip airfare on select sailings. Norwegian’s Free at Sea promotion now lets you choose up to 6 fantastic, FREE offers! Book a Studio or Inside stateroom and choose 1 free offer or choose 3 free offers when you book an Oceanview, Balcony or Mini-Suite. Best of all, cruise in Norwegian’s Concierge accommodations, a Suite or The Haven and enjoy all six free offers. Choose from a FREE beverage package, FREE shore excursion credits, FREE specialty dining, FREE WiFi, Norwegian’s Friends & Family Sail FREE, and FREE or reduced roundtrip airfare on select sailings. With a value of up to $4,000 with Norwegian’s Free at Sea you'll make unforgettable memories you’ll talk about for years to come, don’t miss out and book today! Free At Sea Offer: Valid on select 3+ day sailings. Haven, Suite, & Concierge bookings receive all 6 offers; Oceanview, Balcony & Mini-Suites choose 3; Studio & Insides choose 1. Gratuities, Beverage and Specialty Service Charges may apply. Significant details & limitations apply to Free At Sea offers: Free Unlimited Open Bar, Free Specialty Dining Package, Free WiFi, Free Shore Excursions, Friends & Family Sail Free, & Free Airfare. Free and reduced airfare on select cruises from select gateways. 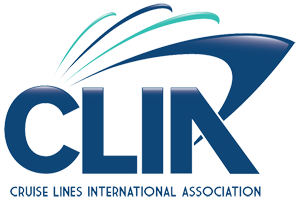 ©2018 NCL Corporation Ltd. Ships’ registry: Bahamas and USA. Interested in Choose up to six free offers with Norwegian Cruise Line ?